Finished in Silver and Black, with rubber grip. 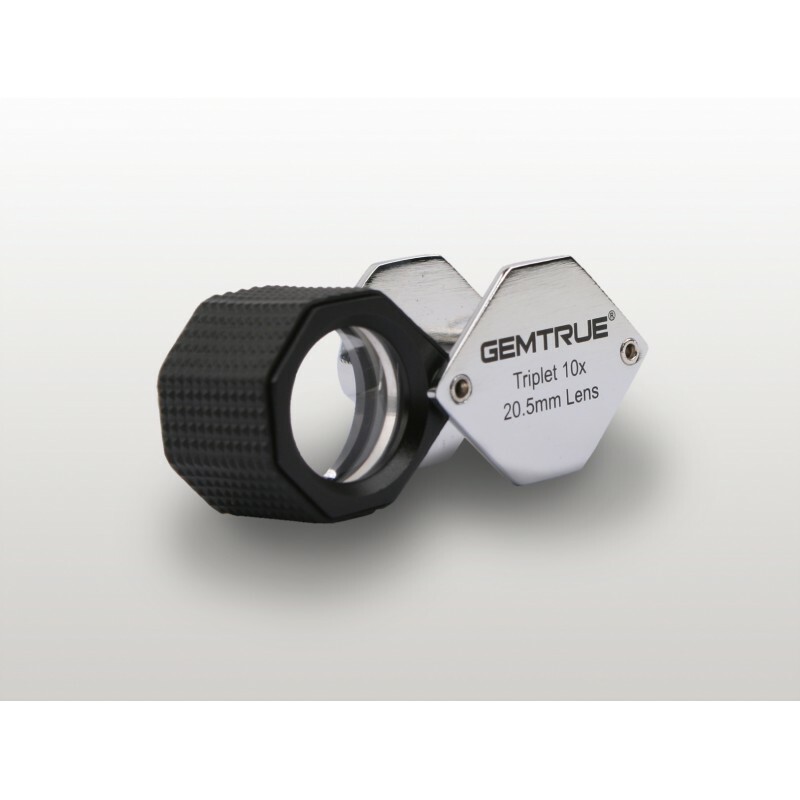 These are our larger diameter 20.5mm 10x Triplet Loupes which some jewellers find easier to use. Using a triplet lens combined of three lenses bonded together allows you to achieve excellent colour and clarity grading. These larger loupes are made from the highest quality metal. Comes in a leather case and a labelled presentation box.